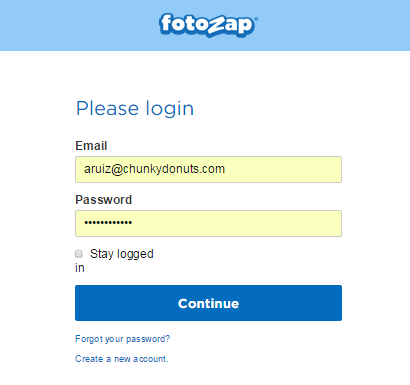 To view your photos visit http://my.fotozap.com and log in with your account information. Once logged in, choose the 'Results' tab, this will open up five more choices, click on 'Photos & Data'. 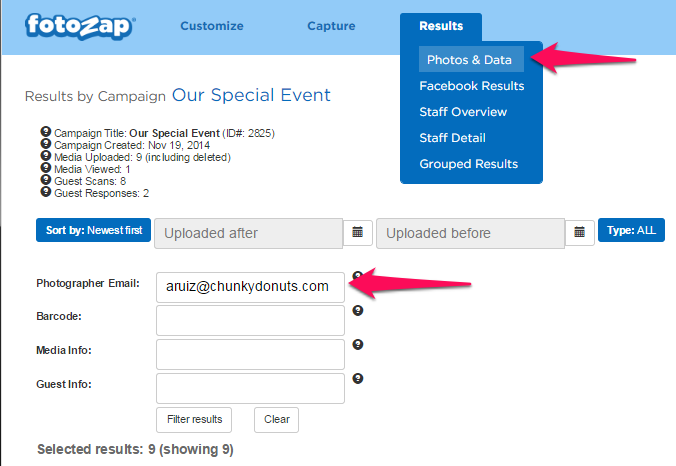 If you have more than one campaign, find the one you want and click on the number under 'Media Uploaded'. 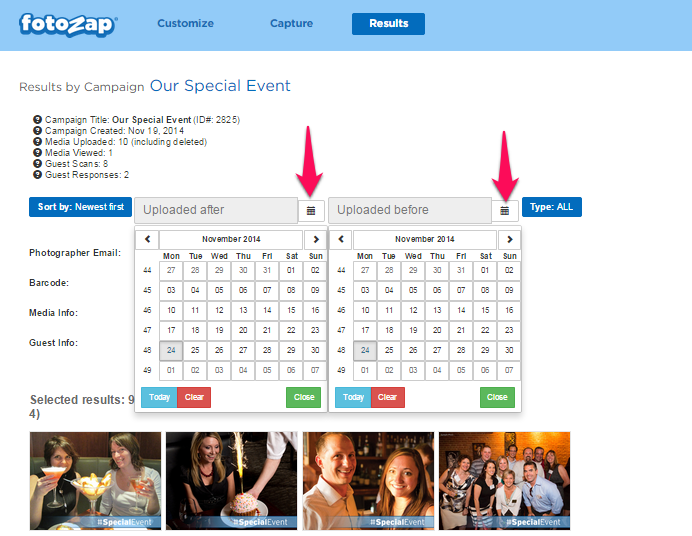 Once you choose your campaign, you'll see thumbnails of your photos and basic statistics. 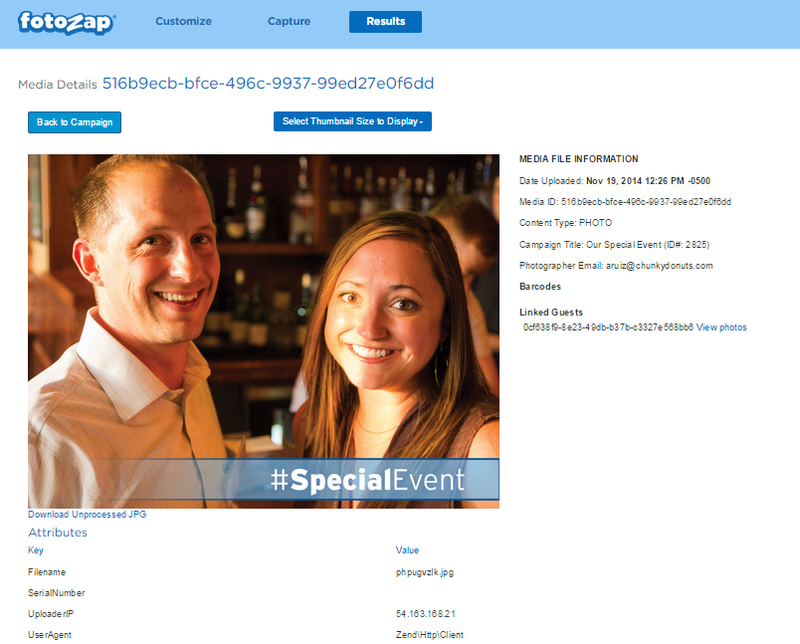 You can search for different criteria like photographer emails, barcodes, media info or guest information. You can also sort by a date range. 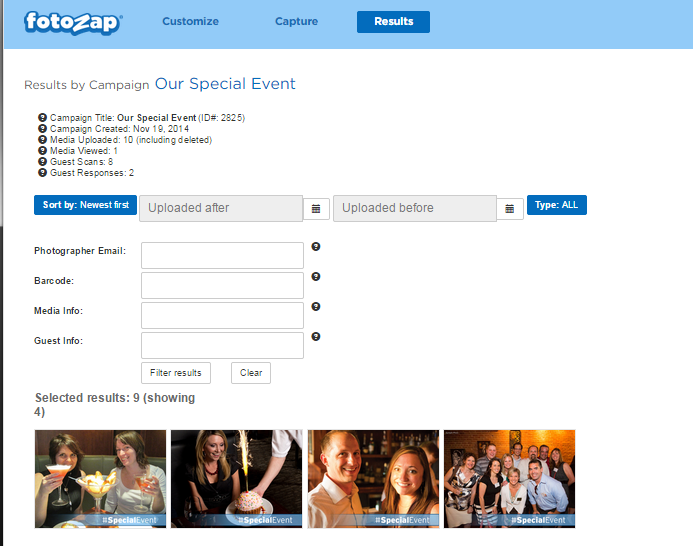 To see details on a specific photo, simply click the thumbnail to visit the photo's detail page. Here you will see more information on that specific photo. You can also download the individual photo and use the dropdown to select the size and if you'd like a version with or without the overlay.